Nicolo Melli was on top of his game against Panathinaikos on Friday night. 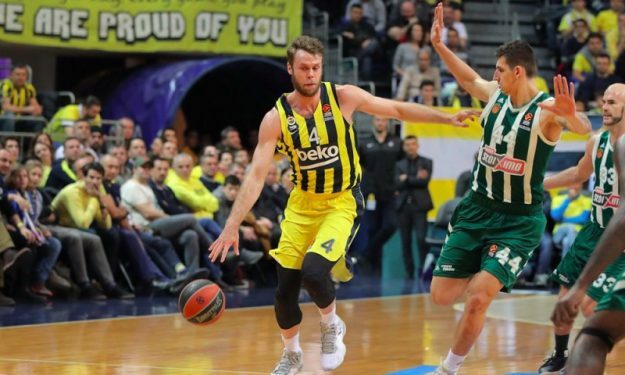 Fenerbahce BEKO Istanbul became the first team to qualify for the 2019 EuroLeague playoffs, after demolishing Panathinaikos OPAP Athens at home. Nicolo Melli had an all-around impressive performance, as he posted 14 points, seven rebounds, and four assists. “The only goal today was to win the game, and now we are qualified for the playoffs which is good but we have to fight to keep the best position possible. It was a good game today, we should be proud. We won by 20 and this is the only thing that counts, I was able to help the team today and I’m happy,” he said after the game.